With a lot of hairstyles emerging every season, picking one that fits your style and your face shape might be hard. 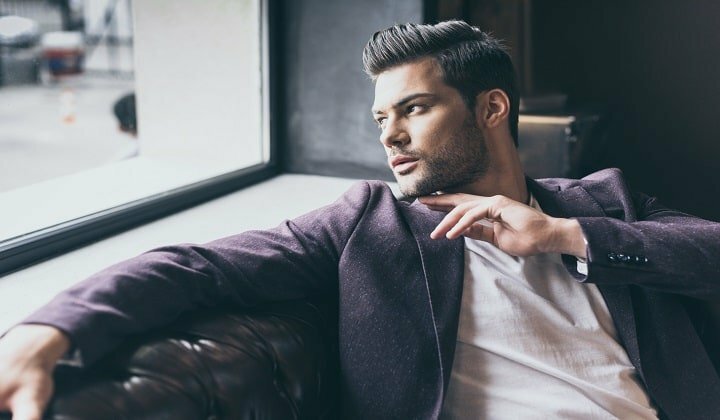 Let’s take a look at the most popular men’s hairstyles that you need to try right now in order to figure out which one will be right for you. Zayn Malik officially brought back the spiky look and it’s a trend that shows no sign of stopping. To achieve this chic style, trim the sides down to one inch, then leave the hair longest up top with four or five inches. Work the pomade through your hair until you have spikes throughout the top, and you can personalize their direction for a neater or messier look. 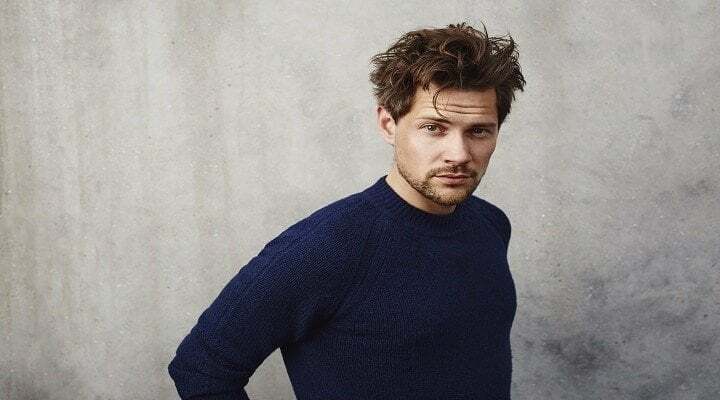 This is the most popular as a mid-length messy hairstyle and only requires two things of you: a daring sense of style and a long-lasting pomade. This shorter style gives the perfect combination of classic hair with a modern edge. 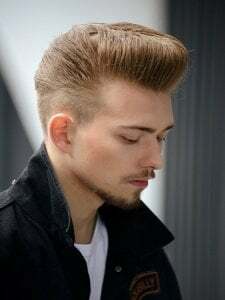 With hair that’s left longest up top, roughly three inches, and a gradual fade on the sides to an inch or less, this style is perfect for men with strong, pointed jawlines. This hairstyle is particularly well-suited to men with thinner hair. Simply apply a dab of pomade to give the longer hairs some texture and you’ll find yourself with a cool hairstyle. For decades, men have been using the side-swept hair as a way to enjoy longer hair without worrying about overheating. This classic look is achieved by leaving a generous four inches on top, then having the sides and back fade out to two inches. 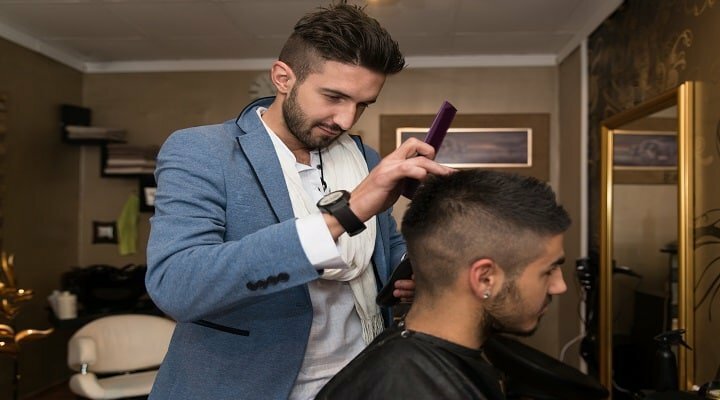 This style is easy to do every morning but bear in mind that you’ll need regular visits to the barber to keep the sides and back in check. Still, for a modern take on a classic look, you won’t find better. Pompadours have been a staple in men’s fashion for centuries. A modern pompadour will require a reliable barber because it’s such an easy cut to miss, but it’s stunning when done correctly. Hair will be longest on in the front and on top, then gradually fade out to a shave on the sides and back. Make sure your barber knows that you want a side part since a clean part line is a key ingredient to this masculine style. As you’ve probably noticed, fades are the go-to men’s style lately. Another incarnation of the classic fade is to leave five or more inches of hair up top and brush it back for a carelessly voluminous look. Not only does this keep your hair shortest around your neck to cool you off, but it will also give you a trendy look for every occasion. For men with curlier and thicker hair, this is a new take on the usual crop cut. Leave the top and upper sides long to free your curls, then cut the sides and back short for a textured look. Curls are easy to maintain so this look should be easy to achieve on a daily basis. The cherry on top? Shorter hair on the sides will let you keep your hair curly and will give your look a defining touch. Comb overs get a bad reputation for being used to cover bald spots, but there’s a younger, edgier way to wear this style. Determine which side you want your part to start from, then leave it long toward the part and taper it shorter on the other side of your part line. To style this hair, lightly apply product through the longer hairs to keep them lying in place all day. Be careful not to cover them in pomade, though, or your look will go from “punk rock” to “oil spill” in a second. If your hair is a bit thin or flat, a layered undercut can add that volume and dimension back into your look. The layers will create the illusion of having more hair, and the undercut gives it a modern, young twist. 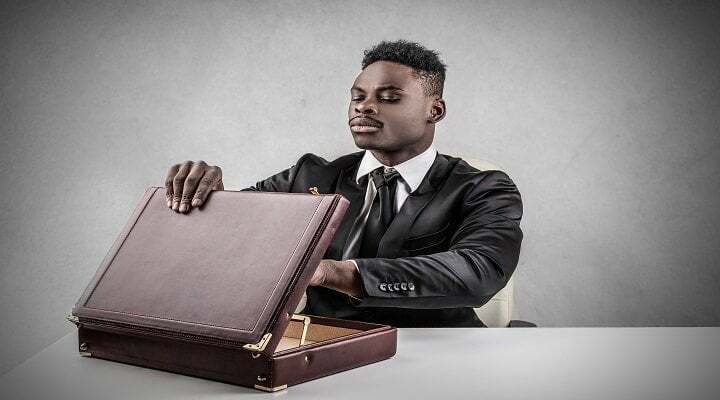 Work with your barber to determine how long to leave the hair by cutting the shortest parts first and then seeing how long you want to leave the rest of it. There’s always a good time to take into consideration changing your look and you don’t have to be afraid to risk it. Consider one of these eight best men hairstyles and then treat yourself with a visit to your favorite barber. It’s guaranteed that it will make your feel cool and refreshed. Cassidy Flannegan is a full-time hairstylist, passionate about bold hairstyles, especially about undercuts. In her spare time, she is an editor for MenHairstylesWorld, where she shares her knowledge with those who need it. She tries to follow a healthy lifestyle and to pass that onto her family. Feel free to reach out to her on Twitter, also.